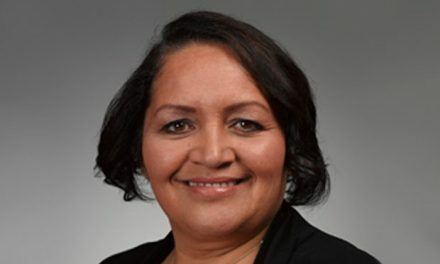 Hekia Parata, as the Minister of Education, has made it clear that Turakina Māori Girls’ College in Marton is in so much trouble that it may soon share the fate of St Stephen’s School (near Bombay, to the east of Pukekohe) and Queen Victoria (in Parnell, a flash Auckland suburb). As with Turakina, both Tipene (St Stephen’s) and Queen Vic had a long history of producing Māori achievers. But, for a variety of reasons, the rolls shrank and neither the Ministry of Education nor the Anglican Church could come up with the answers. So Tipene closed in 2000 — and Queen Vic shut up shop a year later. And that left Turakina (Presbyterian) as one of just six Maori boarding schools. The others are Wesley College (Methodist) in Paerata, just north of Pukekohe; Te Aute (Anglican) at Pukehou, south of Hastings; and three Catholic schools — Hato Petera in Auckland, Hato Paora in Feilding and St Joseph’s in Napier. The fight for the survival of Turakina isn’t over yet though. A number of old girls have been rallying to the cause now that they have learned of the school’s plight. One of those ex-students is Kiri Danielle, a former head girl — and now a mother of three, with a background of early childhood teaching, journalism, television broadcasting and high profile environmental work. Here, she talks with Dale Husband about the Turakina situation. Unfortunately, we’re already familiar with the hard times that Māori boarding schools have been experiencing. And there’s been the especially sad experience of seeing the closure of Queen Victoria and St Stephen’s. So I can understand you, as a Turakina old girl, joining the battle to keep the school going. But it looks as though it could be a tough struggle. I have no problem in standing up, and speaking up, for Turakina. That school taught me many things, and one of them was to be strong. As a young girl at Turakina, there were nights when I would cry for my parents. But you couldn’t just walk away if you had problems. If you fell out with a school mate, you still had to go to dinner with her. And the next morning when you woke up, she’s right there in your face. So you had to get through things, you had to tough it out. It taught me resilience. It taught me to stand on my own. When you’re away from your whanau like that, there’s no mum or dad to go to for a cry or a cuddle. So you learned to be strong. And many times, when things have gone wrong in my life and I’ve had to dig deep, it’s the kaha I developed at Turakina that got me through. I understand that you’re not the only one in your whanau who went off to boarding school. No. We’re a Māori boarding school family. There was me heading off to Turakina, my two younger sisters (Alana and Marara) to Hato Hohepa and my two younger brothers (Matiaha and Hiwaru) to Hato Paora. So Māori boarding schools are in our blood. Our dad, Denis Paku, had wanted to go to Te Aute but he never got there. I think it may have been a reason he wanted that for all of us. 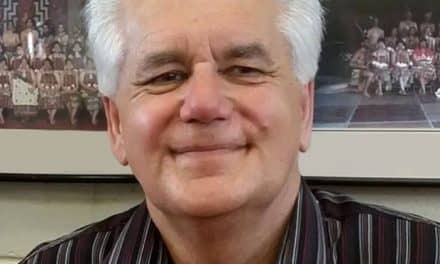 He was from the generation who weren’t allowed to speak Māori in school. Gosh — they weren’t allowed to be themselves! Their culture was rejected, their reo was rejected — that’s some pretty belittling stuff! So he grew up without his reo. When my koro died, Dad couldn’t understand everything said at his tangi. That motivated him to throw himself into learning reo, tikanga, kawa, whakapapa — everything. When I was born a year later he was already actively learning as a student of Hiko Hohepa in Otaki. As a little girl, I remember him specifically sitting me down to learn too. I was his “hui girl” —his little buddy — and he took me everywhere with him. I go into whare tipuna now, and they have this smell you know. It takes me back to being that little girl every time. I used to fall asleep next to Dad to the sound of old people having a korero. When I hear our old people korero now, it’s that same warm safe feeling. Dad gave that gift to me — of belonging in my own skin and in my own culture. Through our dad, we are Ngati Kahungunu and Ngati Raukawa ki Te Tonga. Our mum, Liz, is Pakeha. 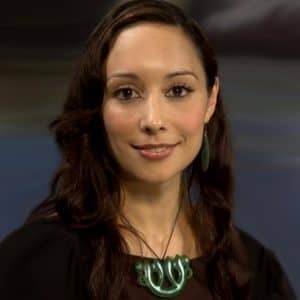 She’s always been proud to have Māori kids. She thinks we’re all beautiful. But that’s mums, eh? By the time I was ready for high school, it was already decided that I’d be going to a boarding school. It was hard for Mum, though. She’s told me that, when I first left, she used to go into my room and tangitangi because I was gone. She missed us all terribly — I know that. But, just recently me and Mum were talking about sending my daughter (Moerewa, who’s 15) to boarding school. I haven’t been too keen to send my only daughter away. I wanted to be with her as long as I could. But Mum encouraged me, saying: “Bub, it was the best thing that could’ve happened for you because at those schools being Maori is an asset.” That’s what she wanted for me. She wanted me to believe being Maori is something to be proud of — something that enhances me as a person. Statistics show that Māori are, more than likely, to be found at the bottom of the heap. But Mum and Dad were never content with that. Gosh, my Dad still gives me stick about not being all I can be. But that’s him — always pushing me to be better. That’s where Māori boarding schools came in, too. Mum and Dad are still passionate about them to this day. Now we’re having this conversation about my daughter, Moerewa. She wants to go to a Maori boarding school. It’s just Mummy holding on to her that’s the problem. Mum and Dad have both had a gentle word to me though — and my baby has the enrolment forms, so I’m just going to have to cut the apron strings, I guess. I can’t keep holding on to her forever. She wants to go — and I know it will be great for her. So, time to toughen up, Mum. I get the impression that there’s a special pride among those who’ve been through these Māori boarding schools. Definitely. Most definitely. There is a camaraderie, a deep camaraderie, even now as an adult, when, for example, I come across an old boy from Tipene or an old girl from St Joseph’s, there’s an immediate bond because we share a common experience. We’ve been shaped by the same forces, you know. So there’s a respect, some admiration — and we wear our old boy or old girl status with pride. Being an old girl speaks for itself, too. There have been times where strangers have questioned my Māoritanga. Questioned if I know anything about kapa haka. Or tikanga. Or even reo. Then, when they find out I was head girl at Turakina, they’re like: “Oh okay.” There’s a credibility that goes with these kura. It’s well deserved, too. It’s been earned. So, yes, it would be tragic for our Māori girls if the option of attending a school like Turakina was to be taken away. If Turakina closes down, it will deny so many young wahine their chance to be shaped into tuturu wahine toa. It’s a kohanga. It’s a nest — one specifically designed for Māori wahine. And it’s one with a history — a legacy — of strengthening and empowering us. And we need that shaping. Can you explain how some of that shaping takes place? Well, for instance, every day we sang songs about wahine toa. There were pictures on the walls — of Hine Ahuone and Hine Titama and Papatuanuku — all these Māori heroines, female atua and leaders. In a way, it’s a bit like the experiences of young African Americans when Barack Obama became the President of the United States. He was a black role model and he was right there for every black American. All of a sudden, every little black boy had solid proof that he too could be a president one day. It raised expectations. We had the same sort of inspiration at Turakina. I mean, in our dining room, all of these pictures were hanging up of Māori heroines. In the hallways, in the classrooms, in the books we read and in songs we sang. I went back to the school just last year, and still those pictures are there, still fostering that same sense of pride. And when we and the next generation of girls gathered outside Parliament some days ago, we performed the haka we learned there. Mana wahine. That’s powerful. That needs to continue. That’s the legacy. How was it for you when you arrived at Turakina? I was 12 when I first went, so I was just a little girl. I was excited, but nervous, too. I looked up at the big senior girls, and they were fully grown women. All of them had their shoulders back and their heads up. They had mana and it was palpable. I know now that it’s because they had already been through the training. They would lead us for kapa haka, settle us in the dorms at night and supervise our prep. And, if we did anything wrong, the seniors would sort it out. We’d all be taken into the hall, be sat down and it was: “Right. Somebody took something from someone else… so we’re going to sit here until it comes back.” The seniors were the ones that did that. There was a tuakana/teina relationship there and it fostered respect. A little bit of fear, too — but boy it pulled you into line. We knew what the expectations were — and they were high. As well as that, these girls were extremely clever and beautiful performers. As juniors we’d watch them go out into the public to represent us. We were seeing newspaper articles about them. We were hearing about how well they were doing academically. We had nothing but Māori wahine role models. There weren’t any other cultures in there. And we were thinking: We could be just like them. We were looking at our own. At ourselves. And our principal was absolutely determined that all of us would succeed. There wasn’t any room for failure. In that sense, Turakina was a big contrast with my experience of primary school where it wasn’t always a plus being brown. I remember a particularly nasty comment when I was out on the playground one day with a group of girls, all fair-skinned and Pakeha. None of them dark like me. One of them said: “I bet when you were born, your mum thought you were a poo, because you’re so brown.” She laughed, but I didn’t. That wounded me. It really hurt. But, when I got to Turakina — and back when I was born — I was a taonga. I was a little mana wahine in training expected to go out into the world and to lead. And, by the time I walked out of Turakina, I owned my Māoritanga and I owned my wahinetanga. How is it that you’ve stepped up to take a lead in the advocacy for Turakina? Well, of course, I feel strongly about the threat of it closing. This school is 110 years old and thousands of girls have gone through it. The old girls were only made aware of it as a group the day before the announcement was made. We weren’t aware of the extent of the issues. We’ve found out now about the problems regarding the condition of some of the buildings — and the small roll. They aren’t impossible to address. But to be given just one month to respond, by Hekia, was tough. As a Maori woman, as a Maori leader, Hekia has a responsibility to do everything she can to support the kura and facilitate a process that gives the old girls time to deal with the issues. I have no doubt that we can save Turakina. We’re a strong force. A really strong force of Māori wahine, moulded into wahine toa — prepared for challenges in life just like this. We all love our kura, and when you love something, you do whatever it takes to keep it. trust me we will stay open. 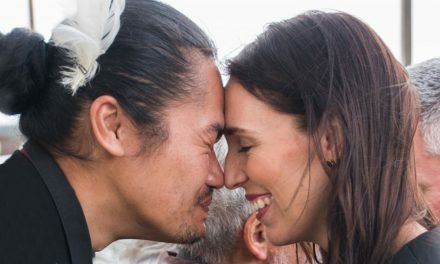 Hukarere needs to be remembered in this article too. My mother went to Hukarere, my aunt went to Turakina and I went to Queen Vic. The korowai of Te Kahui o Wikitoria is Whaea Kuni Jenkins, who has been the driving force behind the re-opening of QVS on site in Parnell. Also, Church College – although not classified as a ‘Maori boarding school’ many of our own went to CC. When it was closed, it was well funded, well attended and the only Mormon boarding school in NZ. And yet, the Latter Day Saints Church still made the decision to close it down. 1. Lack of transparency – many of the ex pupils remain in the dark as to why our boarding schools were closed down. The specifics. Who, why, what. And the involvement of the churches in continuing to make money off the land that was specifically given by Maori for the education of Maori, as can be seen with Queen Vic. Parnell is prime real estate. It is worth Millions. 2. Lack of Funding through the withdrawal of scholarships by the government. Maori families were unable to afford escalating school fees. And yet our churches and our iwi trust boards have sat on millions of dollars. Why? No-one wants to point the finger. There are those who have sweated blood for our boarding schools. And who continue to. At the same time, there are those who have gleefully feathered their own nests. The infighting and politics have only served to help keep our boarding schools in the red, with declining rolls, and not being seen as viable options for parents to send their kids to. 4. The Abuse and Bullying. Something no-one wants to talk about. And yet it’s there, it was there when I went to boarding school and it is unacceptable in this day and age. Being terrorised was seen as part and parcel of the reputation of particularly the boys boarding schools, and was hidden under the guise of ‘respect’ and ‘seniority’. My brother went to Te Aute. Hato Petera had molestation by a Maori Kapa Haka teacher. He was prosecuted by the courts. And he has been named and shamed on social media. Tipene was a vicious place to survive in the 80’s. It is often laughed off by former students but not everyone is laughing. I meet fully grown men who still cannot speak of what they endured. They stand and they cry. QVS was a tough place to be when I was there. We had one girl in our year with a mild disability. Her years at Vic were sheer hell. When she left, she stood and told the girls that she only hoped when they went out into the world, and when they met people like herself, they would treat them a lot better than she herself had been treated. As adults, many of the women involved in her abuse, have owned up and apologised face to face. And that girl has gone on to become a much respected professional social worker in the Far North. She has started a foundation that helps those with disability to be everything they can be. And she makes all of us Queen Vic old girls proud. Bullying is no longer ok in our society today, thank God. But for parents to seriously consider sending their precious babies to a Maori boarding school, the safety of our children must come first. Not continue to be swept under the carpet. Every Queen Vic old girl would love to see our kura reopened and for the Parnell site to be utilised for the purpose that it was given for – the education of Maori Women. We also want to be properly represented at Tihei Turakina, the hui being held in November in Wellington. Our korowai, Whaea Kuni Jenkins has been invited. But, again, she is a Hukarere old girl. The leader of Te Kahui o Wikitoria is Jacqui Ingle of Christchurch. She was voted in by the girls and is our chosen representative. I have emailed our bishop, Kito Pikaahu to request financial assistance to send Jacqui to this hui once she is invited to participate and be included as a keynote speaker. I am still waiting for a reply. My name is Hana Hemopo. My mother is Rahera Biddle, nee Munro. My aunt is Retamai (Kui) Harrison, nee Apatu. And my brother is Tama Paewai (Ringa Biddle). I am the daughter of Rev Netane Jim Biddle. I run the Queen Vic Old Girls page on Facebook, with more than 500 members of our kura. All of us, every single one of us, would love love love to see Queen Vic reopened. And we continue to support our sisters at Turakina. Whaea Huria, that need is still out there. We do not have a safe local zoned school that empowers my tamariki as Maori and I really don’t know where to send them for secondary education. If I could afford a good Maori Boarding School they’d be there like a shot. These schools are a taonga, and they should be kept open. Whaea Huria. These comments are concerning, not only for their inaccuracy, and the broad brush applied to all our schools, but for the lack of regard to those Maori Boarding Schools currently flourishing and expanding. Maori Boarding Schools are a Taonga and with appropriate support can be powerful catalysts for Maori success. The korero of this wahine was beautiful and so true. I’m one of many mothers that gave her child the opportunity to be educated at a Maori boarding school, which was St Joseph’s. I know this korero this kotiro talks of and as a parent you watch there growth an your pride grows with them. I hope that Hekia Parata realises we need our Maori Schools not only to stay open but to keep them alive so our maori people can thrive and survive. The Maori Boarding Schools are an anachronism. The schools that have closed needed to close because they were not safe, nor was the National curriculum being delivered. The Maori Boarding schools were started to give Maori children from country areas the opportunity to get an education. The Government provided scholarships, travel and boarding allowances, which covered all of the expenses. Churches provided the buildings. This was great for the children that got chosen by their whanau to attend the schools. Some of these children, knowing the import of their opportunity applied themselves and did very well. They became leaders on returning to their Hapu or Iwi. As time went on local state schools became more accessible in terms of distance to travel to school, and the means to travel was easier with Country school busses. The need to be sent away to a boarding school became less compelling and less necessary. The local schools then developed Maori Immersion units, bilingual units and erected Wharenui in their school grounds, thus the need to be sent to a Maori Boarding school to not only get an education but also to participate in the Maori cultural experience became redundant. Fully funding Maori Children to be sent to Boarding schools by the Government was discontinued. The Maori boarding schools, having an elite reputation by the Maori Community then were supported to continue by parents who could afford the boarding fees, and school boards found angel finance from within the community. In the 1990’s many pupils were ‘naughty’ ones, sent to boarding school to keep them out of harms way, and funded by Social Welfare. There were still the elite pupils, but they were few and far between. As the rolls dropped the ability of the school to adequately deliver the curriculum became compromised, with many of the staff in particular subject areas being part timers, and some not qualified to teach, not even having ‘limited authority to teach’ permission. The curriculum was not adhered to in many instances with some staff being unaware of their responsibility to deliver it and being reluctant to implement the ‘in service’ updating of their teaching practise. Where curriculum areas were not available the children were given ‘Correspondence school” lessons with inadequate supervision. Schools got Review reports that found them wanting. In the boarding situation there was physical violence, mental violence, bullying and even sexual abuse. 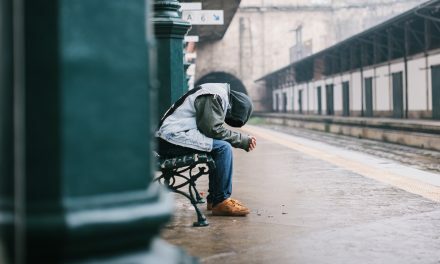 In general with so many of the children being ‘troubled’, and gathered together there was increasing need for professional behaviour and psychological experts, but these services were not resourced, or resourced poorly. The boards of schools lacked the expertise able to run the school adequately, so many areas of school management and compliance were contracted out, taking money away from the curriculum. At the turn of this century Maori Boarding schools needed to close. They were not longer funded for boarding, their curriculum delivery was questionable, their governance lacking, and their physical environment was not safe. The best education is now available in the local zoned school.